Discussion in 'Frontpage news' started by Hilbert Hagedoorn, Jan 23, 2019. So the review is ready, then? I hope it comes soon. I'm about to drop on a new GPU, and I'm waiting on the Radeon VII review to see if it could be worth it. Prob slightly weaker than the 2080 on avg. for $150 less money with 100% compatibility with Freesync I & II (HDR). variable refresh does work with freesync monitors, i've played my laptop's gtx1070 on my freesync office monitor...but there are levels to the compatibility and HDR is not one of them. you will only get HDR for g-sync on g-sync II (or deluxe) monitors. furthermore, LFC is limited for the lower range of fps on freesync with nvidia cards. I dont see the point of this GPU. 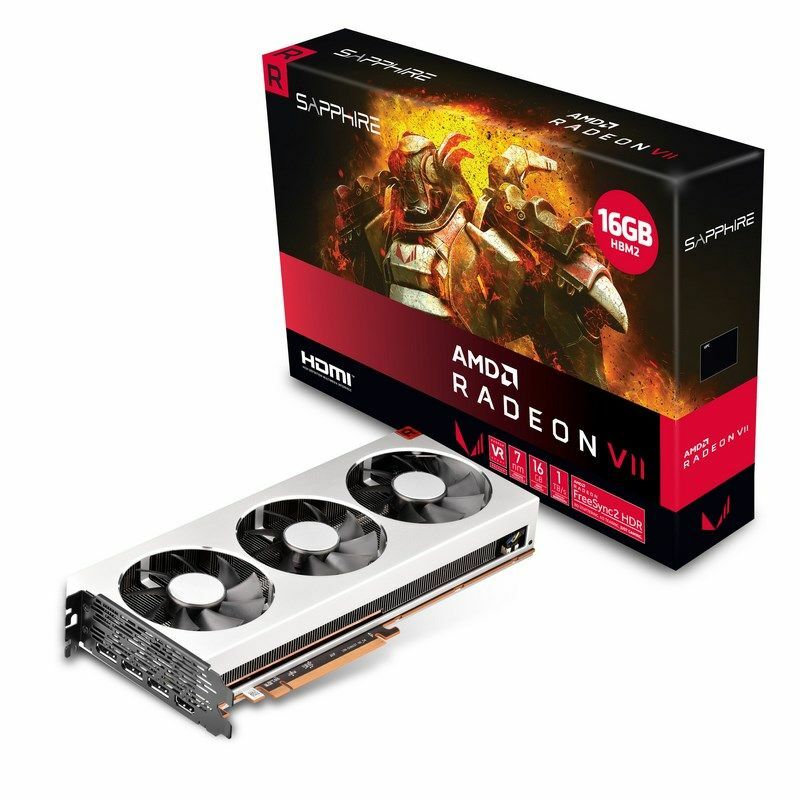 The vega 64 stock reference is already faster than the 1080 stock reference so what is the point in replacing that card with this one. not so much of a faceplam to me. Do you live in a country with serious power shortages, or something? Government is pressuring the citizens to only use x kWh per month? HDMI 2.0b ugh.. i was hoping, no expecting 2.1. Well my Samsung C27HG70 can have both VRR and HDR enabled on it with an nVidia card with no troubles @1440p 144hz. FarCry 5 works perfect with HDR and VRR. All I had to do was turn on FreeSync Ultimate/2 in the monitor. tunejunky and Maddness like this. So just get one direct from AMD then? Yes that's really cool. I'm seriously considering getting this monitor as well. The fact you can do VRR and HDR on both AMD and Nvidia makes this a very good buy at this price. Are you really coming to the red side after all this time? Today Asus Croatia distributors showed up and said to my staff if we want one, exclusive etc, only 2 will be available from them atm,. Hah, that one is probably already sold. Still, we can order it from Hungary. Anyway i know you said you'll upgrade soon so i thought this is it. Will see, but locally it will be expensive for sure. I'm quite curious to see how the cooler performs, it looks like a serious upgrade over AMDs traditional stock coolers. Not that that's much of an achievement in and of itself..
Also interested to know who designed it, if we'll ever know.